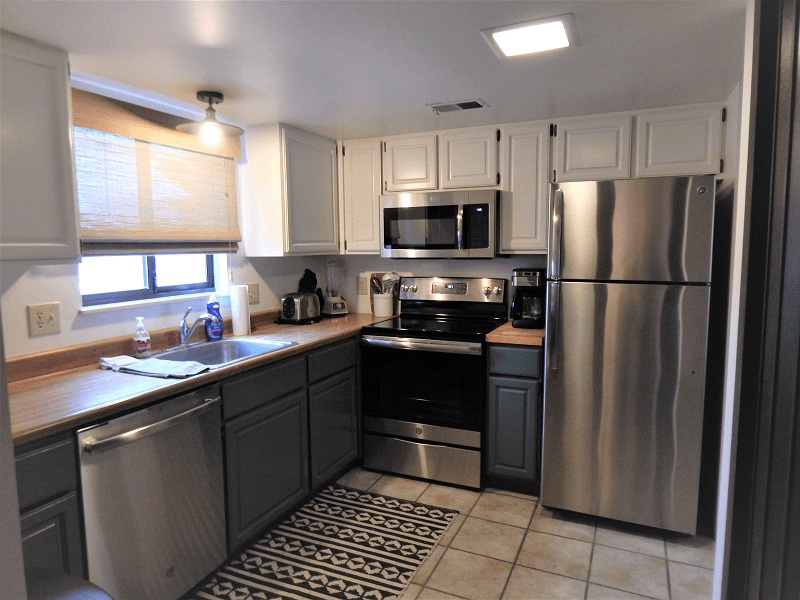 2019: Enjoy our fully UPDATED kitchen with new appliances! Easy, convenient pool right out the sliding glass door off the living room. 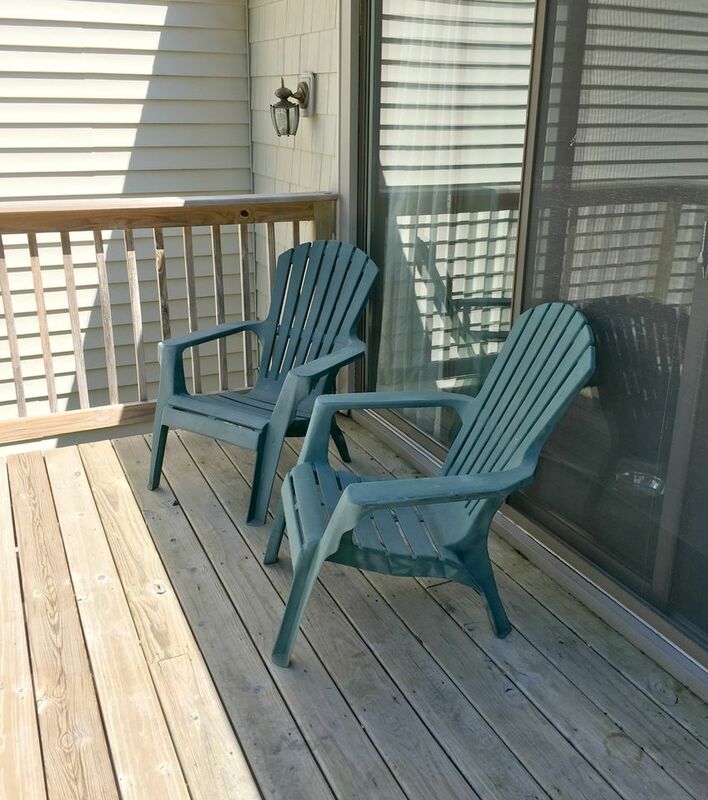 Spacious 2 bedroom, townhome with a property pool, located in Leelanau County! 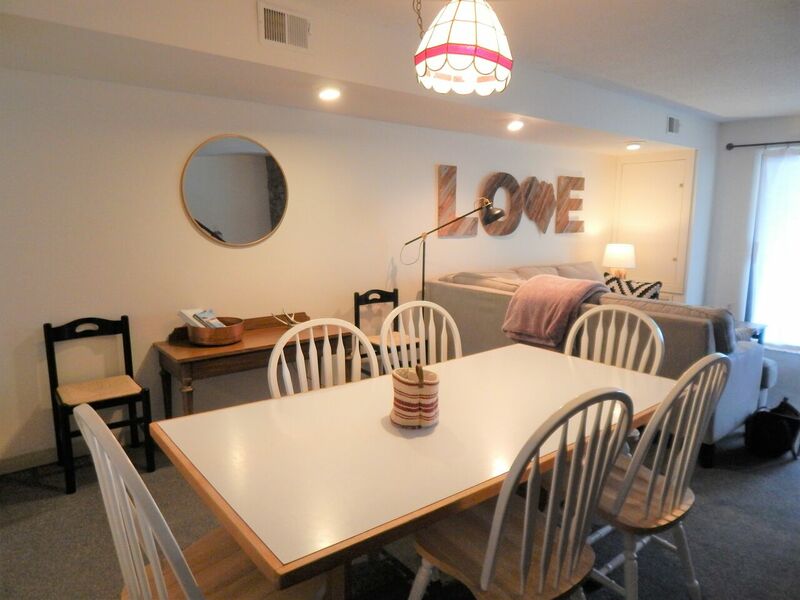 This Sugarloaf townhome is an ideal spot located in the heart of the Leelanau Peninsula- minutes from Lake Michigan,Sleeping Bear Dunes, Little Traverse Lake, Glen Arbor, Leland and much more! This is the perfect retreat for the avid golfer, hiking enthusiast, water or wine lover. 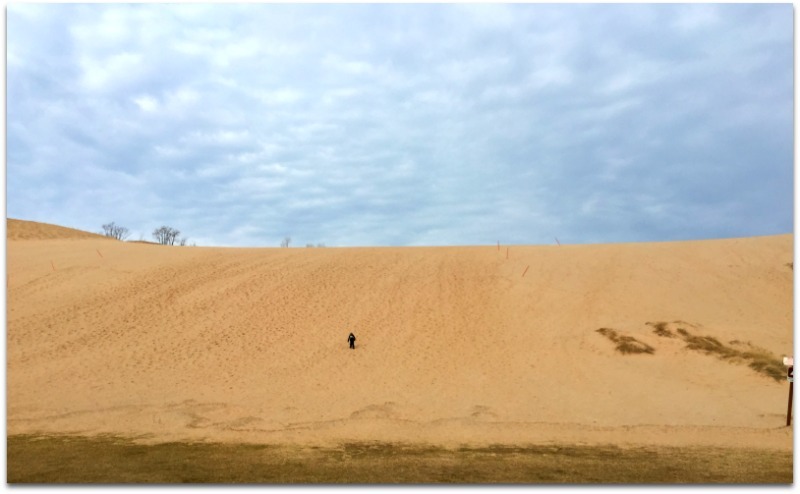 If you've always wanted to explore Sleeping Bear Dunes, this is the perfect location for your visit to Sleeping Bear Dunes National Lakeshore. Rent a local dune buggy or bring your comfortable shoes for climbing and walking the dunes at your leisure. 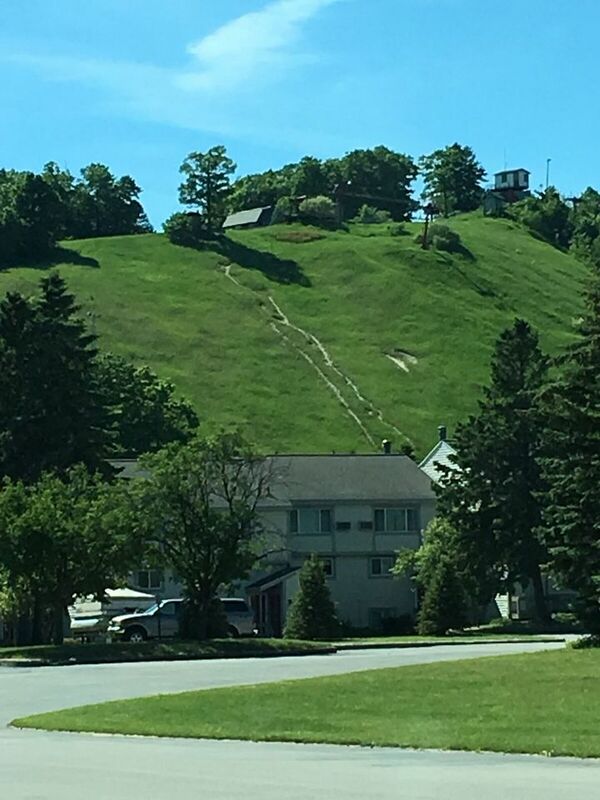 The area surrounding Sugarloaf has a variety of lakes to enjoy water sports, wineries (20+), spas and great restaurants, all within a short drive. 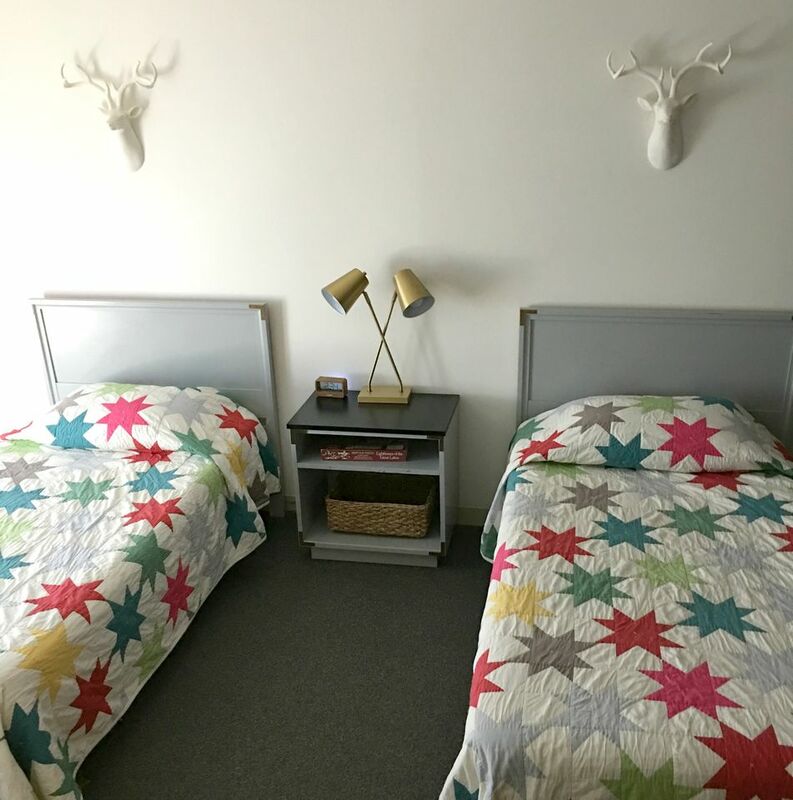 As you walk into Sugarloaf Sweet Retreat, you are greeted with an easy space to take off your shoes, hang your jacket and enter your vacation comfortably. 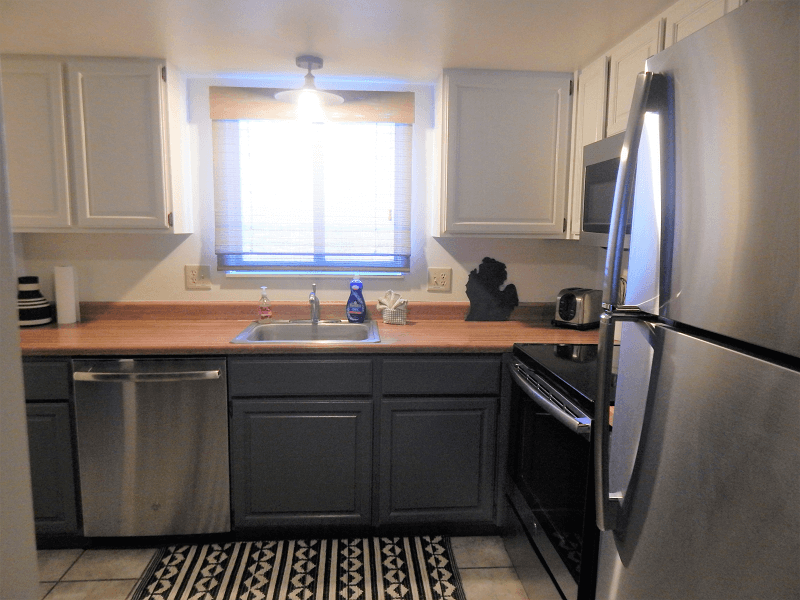 On the left, you'll find the kitchen with all the modern conveniences of home. You'll have a full-sized refrigerator, stove/oven, and microwave. 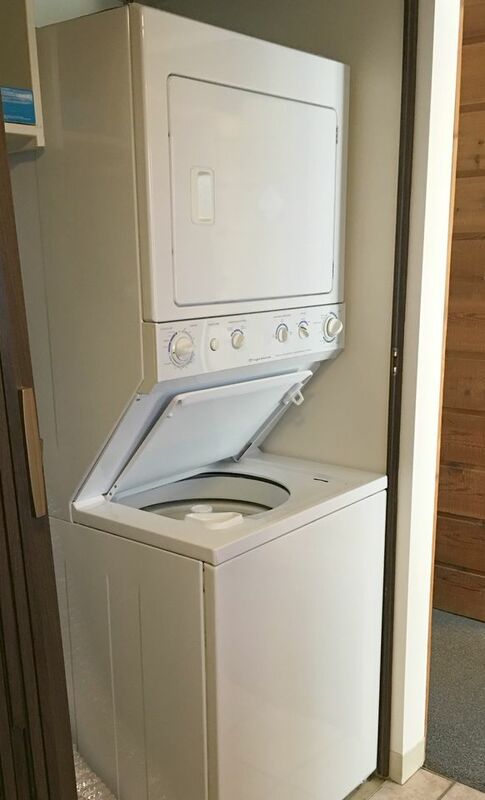 Even the washer/dryer is conveniently tucked into a special spot on the edge of the kitchen. The kitchen has pots/pans, and all your basic utensils. Just ask us if there is something special you need and we'll do our best to make sure it is there for you. We want your trip to be as comfortable and convenient as possible. The kitchen has 2 entry/exit points, so it's easy to get around. 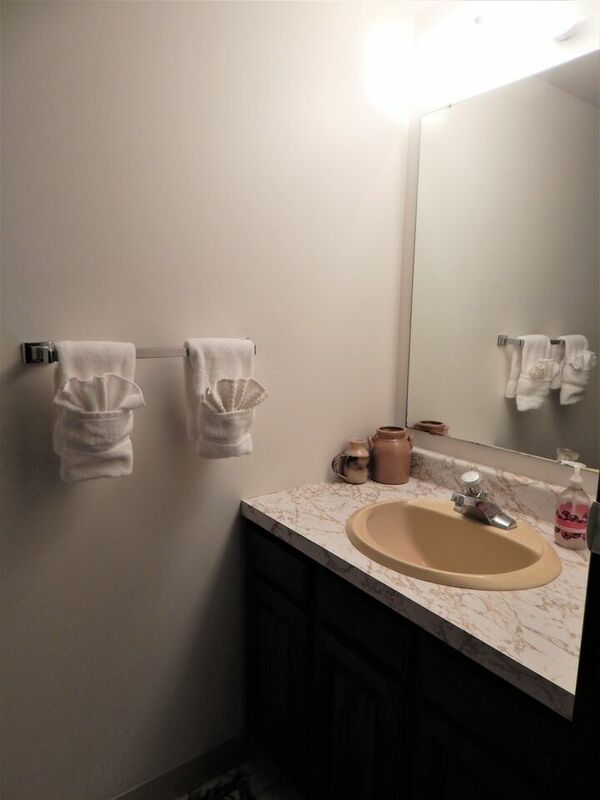 A nice, simple 1/2 bath (with a sink and toilet) is just the entry way and across from the kitchen. Outside one side of the kitchen is the dining area. 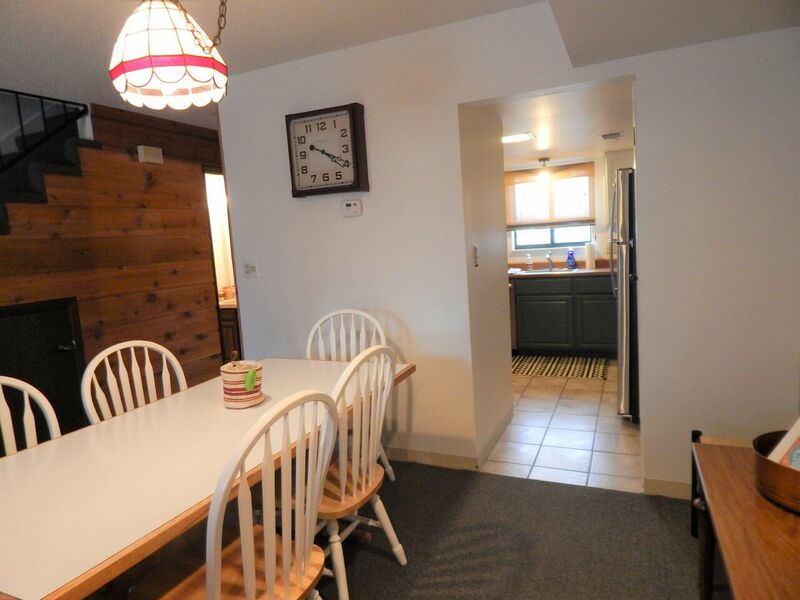 Six people can conveniently eat together, just outside the kitchen. Next to the dining area is the cozy living room. There you will find a comfy couch and chairs to enjoy a movie, TV show, a game to play or bring a good book to read. The options are endless on vacation. Through the living room and the back door wall, you can take a quick 2 minute stroll over to the pool, open Memorial Day through Labor Day. Bring your own beach towels! 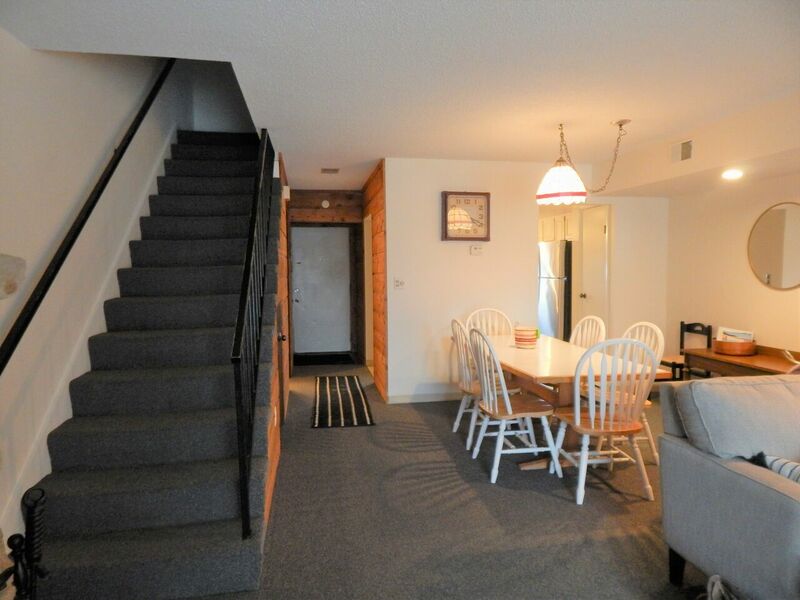 Adjacent to the living room, you'll find the staircase leading up to the bedrooms on the 2nd floor. 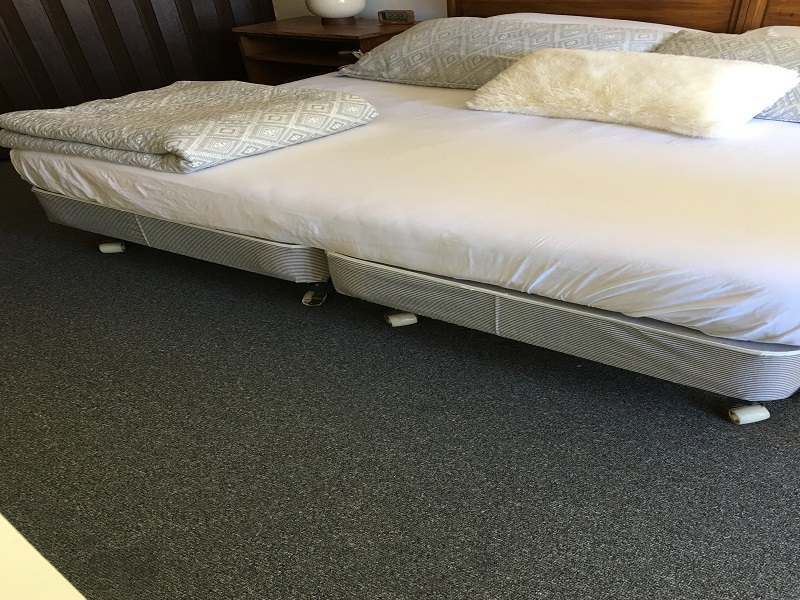 The first bedroom you'll encounter is the bedroom with 2 twin beds. Across the hall is the full-sized bathroom. Continuing down the hallway with hardwood floors, you'll find the master bedroom. 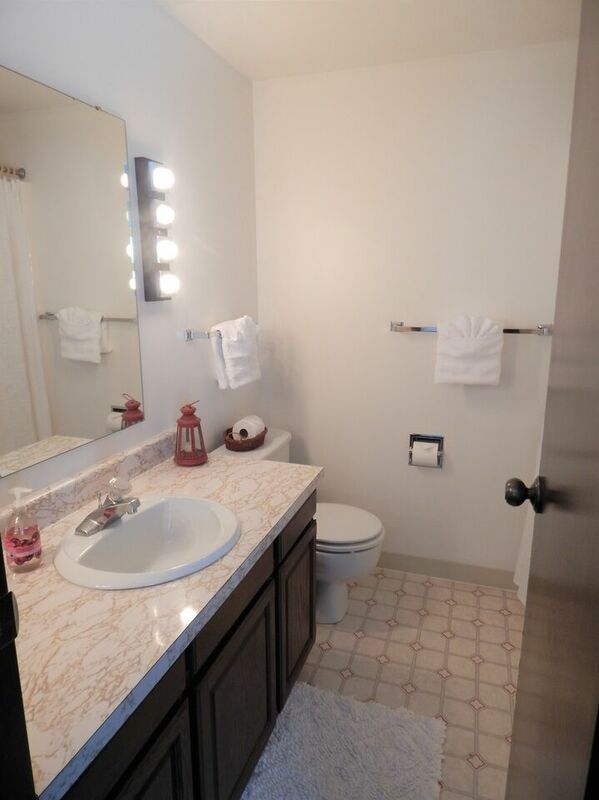 The master bedroom has an attached full bathroom. 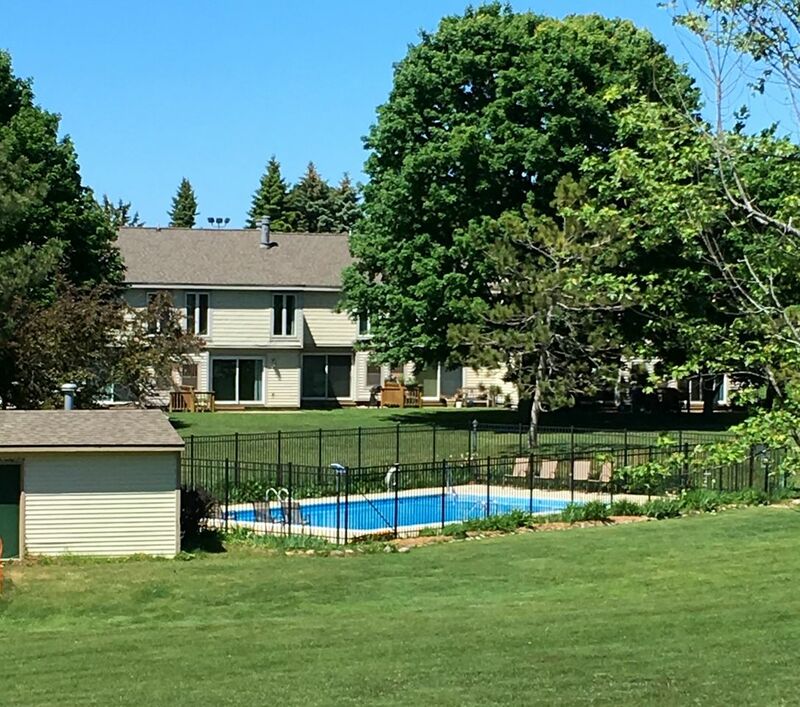 There awaits a comfortable king-sized bed with a large window overlooking the back patio, pool and plenty of space to play catch or throw a Frisbee with one of your kids. 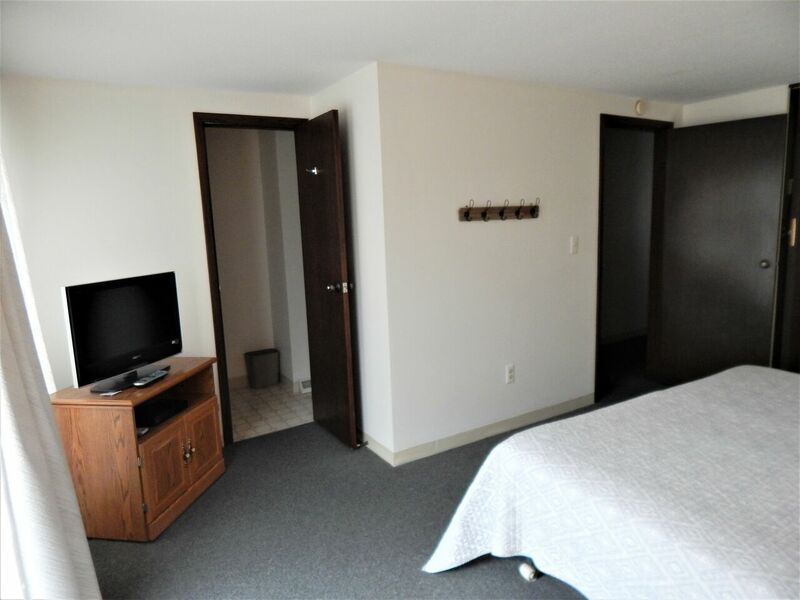 Consider Sugarloaf Sweet Retreat your home away from home. 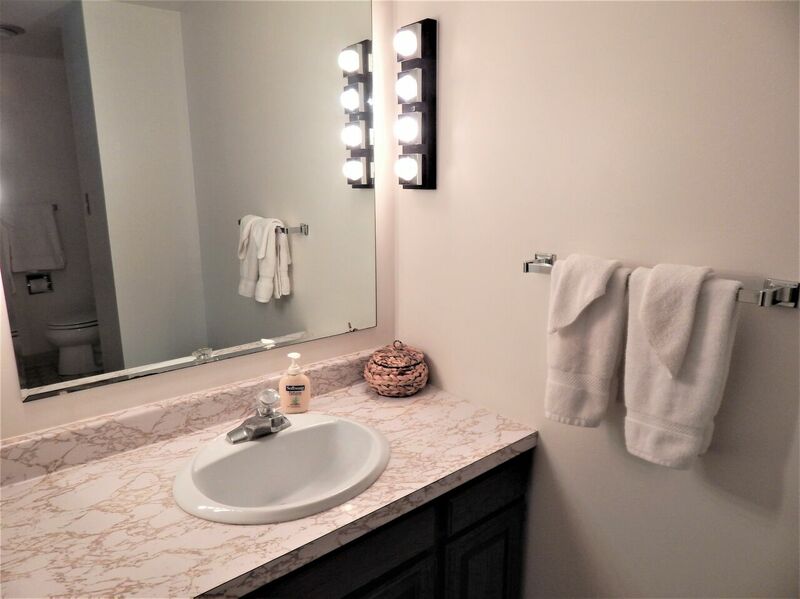 This is a townhouse in a resort-like community, so modern technology (wi-fi, cable TV) is at your fingertips, as well as a resort pool right out your back door! 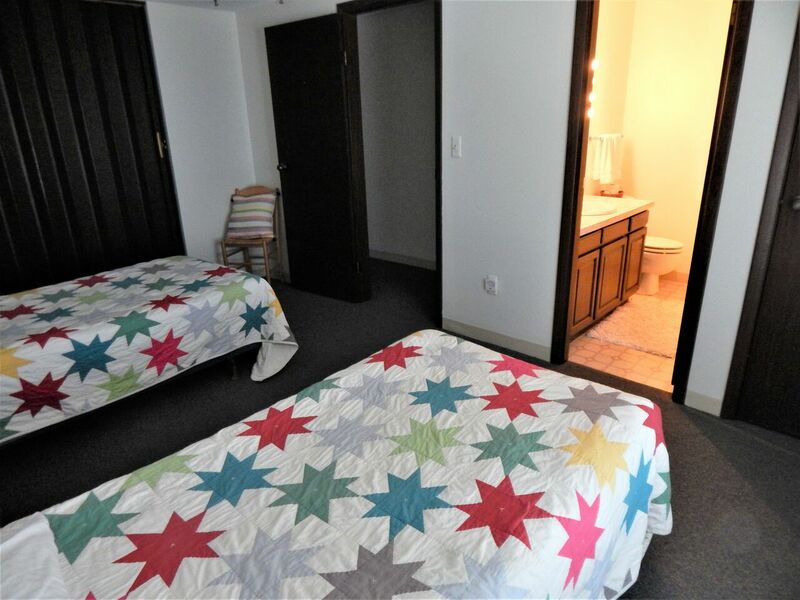 2 Bedrooms: Both upstairs, with 2 roll-away beds for additional sleeping. 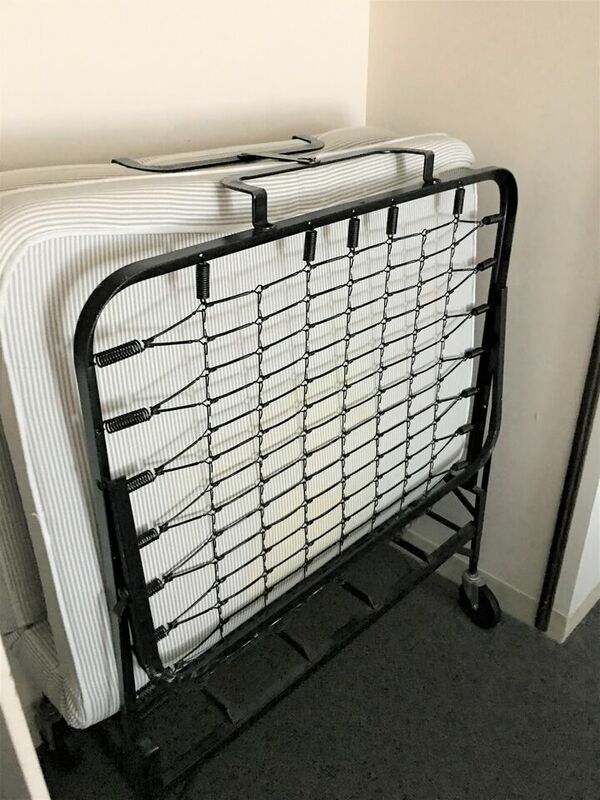 *Additional sleeping: 2 roll-away beds located in each bedroom. Bathroom #2: Full bathroom upstairs. ATV's & Snowmobiles: Yes you may bring them. There is trailer parking in the main lot. Beach: The closest swimming beach is along Lake Michigan at Sleeping Bear Lakeshore about 15 miles away. Boats: There is boat/trailer parking in main lot. The nearest boat launch is 1-2 miles at Little Traverse Lake. 10 minutes to Lake Leelanau. Cable: Yes, there is a cable TV. There is a TV in the living room and one upstairs in the master bedroom. Cell coverage: It is spotty in and around the peninsula, however, good on the premise of the property. 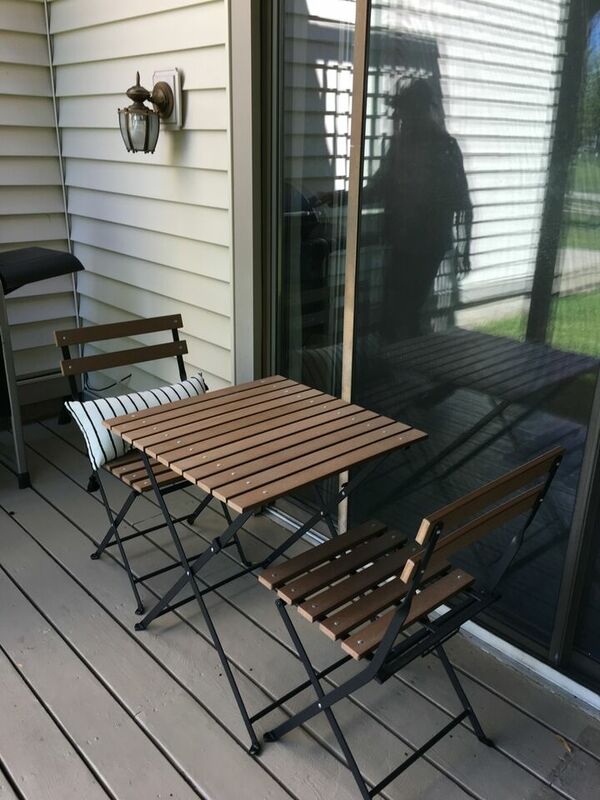 Deck/Balcony: There is a small patio on the main level with patio chairs. There is also a balcony off of the master bedroom upstairs. Dining Area: There is a dining room table that seats 6 people. Fire pit: Sorry, there is not a fire pit on site. Fireplace: Yes- natural wood burning fireplace. 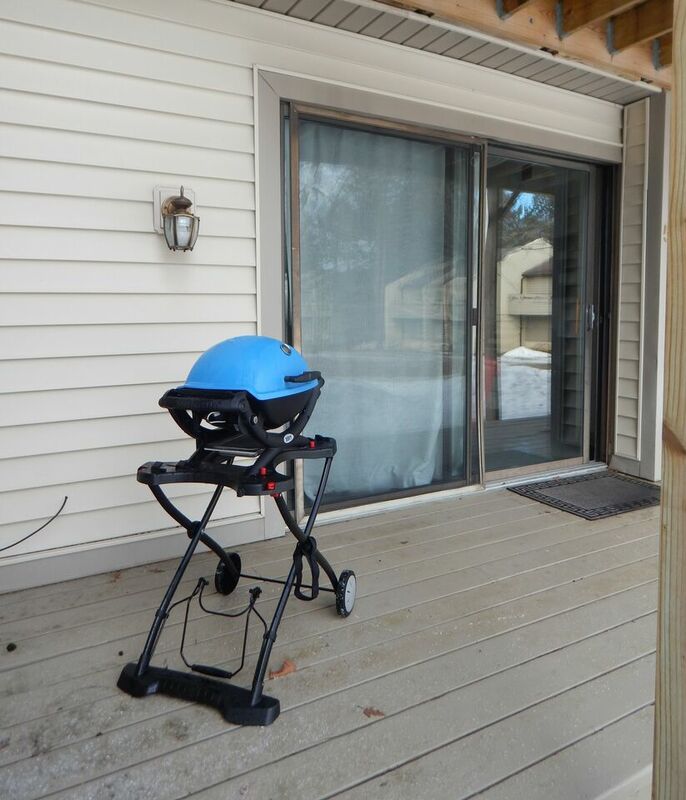 Grill: Yes, there is a propane grill. Linens: Yes, we provide your sheet, linens, bath towels and kitchen towels. Pets: Due to allergies, we can not accept pets at this time. Thank you for understanding. Pool: Yes-there is a community heated pool you are welcome to use during your stay. 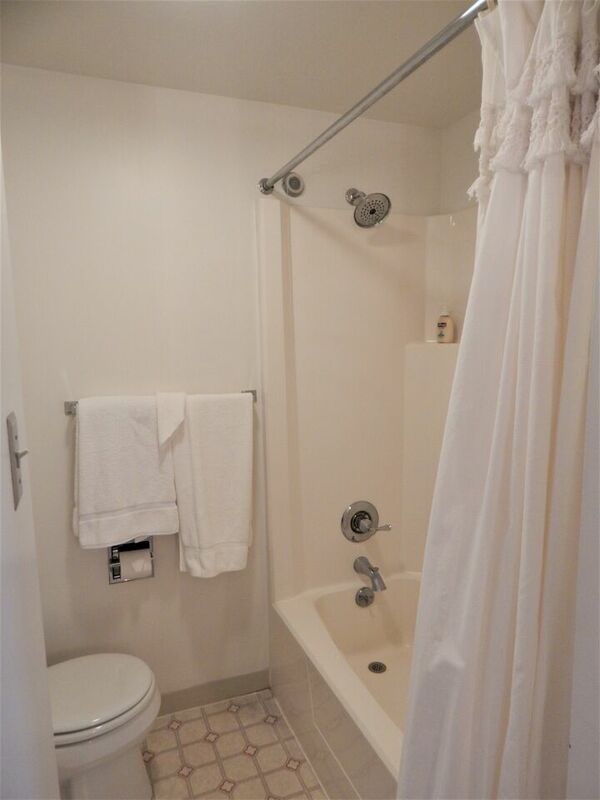 Towels: Yes, we provide bath towels. Please bring your own beach/pool towels. Washer and dryer: Yes, right off the kitchen on the main floor. Very easy and convenient. Pool- Literally just steps from the back door. Kids and parents can enjoy swimming, without the hassle of packing everything needed back into the car! Be sure to look over all the options in each category to mix and match, so you can plan the best vacation possible! Enjoy yourself at Sugarloaf Sweet Retreat! We very much enjoyed our stay. 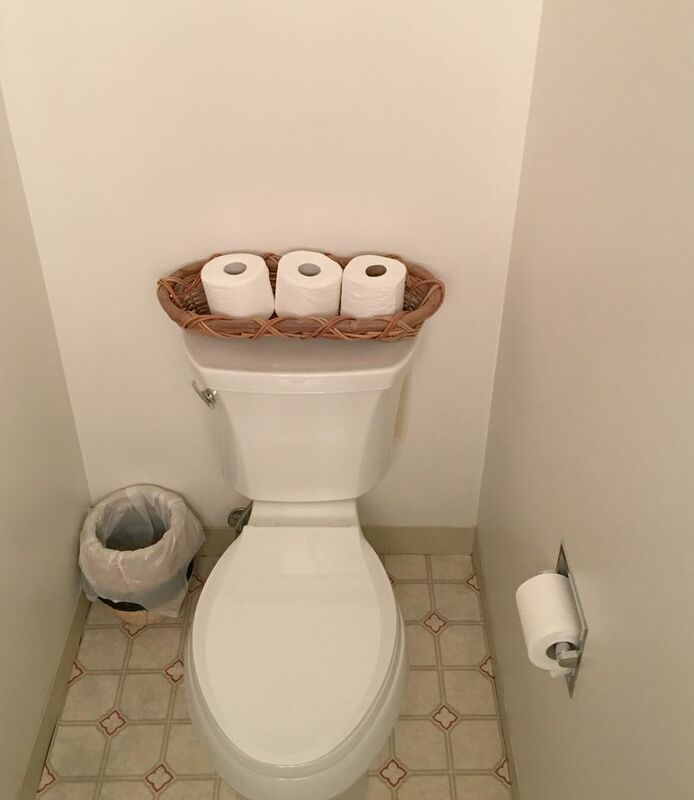 The condo was clean and equipped with everything we needed during our visit. My kids (9 and 13) enjoyed the pool. The area itself was very quiet and felt secluded while still being close enough to all the things we wanted to do. We would definitely stay here again. Sarah, we are so happy that Sugarloaf Sweet Retreat worked so well for you and your family. We'd love to see you come back again. I enjoyed my stay at townhouse G5 at Sugar Loaf. It was comfortable and roomy -- I would certainly recommend this rental to others. We are happy you enjoyed your stay! Thank you for you support of our company. We appreciate the word of mouth! Townhouse G5 at Sugar Loaf was comfortable and roomy. It had everything I needed, and I would certainly recommend it to others. 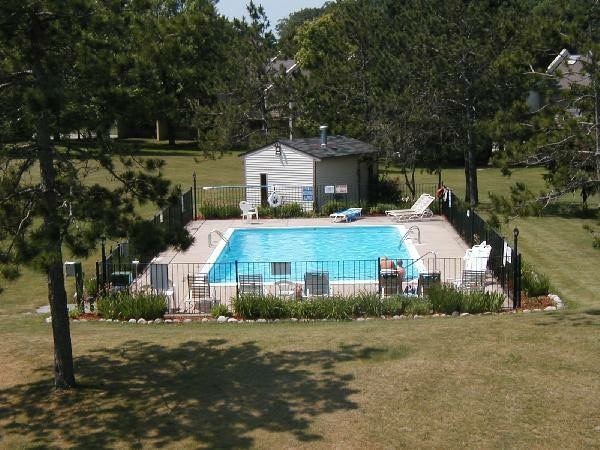 Great location to travel around the area, close to Traverse City and easy travel to area wineries. Very affordable, the condo was neat & clean, really enjoyed our weekend getaway. We will not hesitate to stay here again.